Time sure does fly when I’m busy. For that matter, it flies pretty fast when I’m procrastinating, too. I spent a lot of hours in January reading suspense novels. I can recommend author Ruth Ware because I read two of hers and loved them (The Woman in Cabin 10 and In a Dark, Dark Wood). Perfect snowy day reads. I thought about restarting my diet which bit the dust over the holidays (still thinking). But let’s talk about other things. I spent time critiquing for my writers’ group. What an outstanding bunch they are, including our three new members. Two established members have new books released from Black Rose Writing. 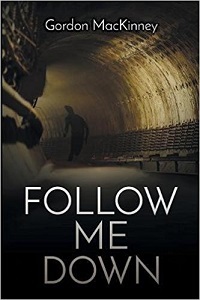 Gordon MacKinney’s thriller is called Follow Me Down. 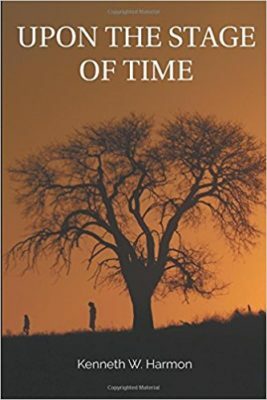 Upon the Stage of Time is a mystery written by Kenneth W. Harmon. Much of my time is still going to promotion efforts for Wishing Caswell Dead, released December 20, 2017 from Five Star/Cengage. And a little research and rewriting time was allocated to my work in process. My big plan for the weekend is to watch the Super Bowl, including all the commercials. What’s on your agenda? If you’re following the guest blog posts and online appearances I’ve done since October, you can add these to the list.